Perhaps it’s a too-much-of-a-good-thing thing. Though Bradley Cooper will probably never admit this publicly, he was counting on that Best Director nomination for A Star Is Born. He wasn’t just on the bubble among prognosticators in the category; he was a shoo-in. But his first directorial effort didn’t get cited, and the star must now make due with lofty consolation prizes in Best Adapted Screenplay, Best Actor and Best Picture nominations. A similar fate fell upon fellow actor Ben Affleck, who was snubbed in the same category six years ago for Argo. And yet Affleck rode that sympathy/outrage all the way to a Best Picture win. Hmmm. . . P.S. Affleck and Cooper played best buds in the ironically titled 2009 comedy He’s Just Not That into You. Need further proof that Roma is the one to beat for Best Picture? That fifth slot in that Best Supporting Actress category was headed straight for Claire Foy for First Man. Or Nicole Kidman for Boy Erased. Roma’s Marina De Tavira was such an after-thought that after her name was announced, I struggled to remember who she even played in the movie. (Answer: The put-upon wife and mother who must put up with her husband’s philandering.) 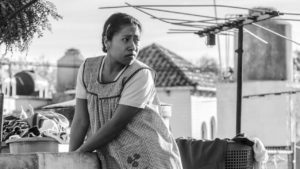 Meanwhile, Yalitza Aparicio, playing the loving nanny of De Tavira’s household, landed on the Best Actress list. Roma is streaming on Netflix right now. If you haven’t seen it already, get on it before February 24. It’s worth it. Especially the second hour. At 23, Timothee Chalamet is already a Best Actor nominee. He’s talented, handsome and has about 13 films in the pipeline. He’s going to be fine. That said, what a surprise that he didn’t get a nomination for his turn playing a drug addict in Beautiful Boy. The performance was nuanced enough for The Golden Globes, The Screen Actors Guild and The Critics’ Choice Awards. However, the movie itself was a bit of a slog and a challenging watch. That opened things up for last year’s Supporting Actor winner Sam Rockwell, who snuck in there for Vice for his impression George W. Bush. The easy math: Stumbling around drunk at a state dinner in the 1980s > shooting heroin in a dingy bathroom in the 2000s. To paraphrase the great Cher Horowitz from Clueless, Bohemian Rhapsody was supposed to be a bigger disaster than Malibu. Despite an early November release date, it didn’t play at all on the fall film festival circuit. Its director, Bryan Singer, was fired mid-production. Star Rami Malek was untested on the big screen. Queen hadn’t experienced a hit single since George W. Bush’s father was president and that’s only because “Bohemian Rhapsody” was featured prominently in Wayne’s World in 1992. None of that really matters. 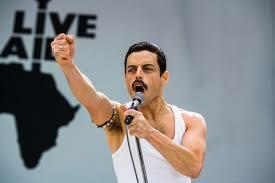 The Freddie Mercury biopic — which, oh yeah, has been crucified by cinephiles and music snobs — earned five nominations, including Best Picture and Best Actor. Those aren’t cheap categories, people. It’s also a monster hit at the box office. Never underestimate the power of rousing music and an unstoppable lead performance. Oh won’t you please explain this snub to me. 5. #@$@%@#%^#$%*^#%?! No Mister Rogers! Fun fact: The biggest shocker of the entire morning occurred in the Best Documentary Feature category. That’s where Won’t You Be My Neighbor? 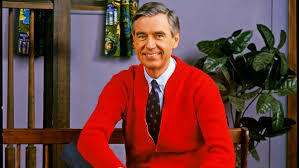 — the uplifting, heartwarming look at beloved children’s TV host Fred Rogers — was outright snubbed in the category. The universally acclaimed smash documentary wasn’t just supposed to be included, it was primed to win! (The amazing doc Three Identical Strangers was also left out in the cold.) I’m hard-pressed to give a reasonable conclusion here, only to presume that too many of the younger, hipper Academy members didn’t get the opportunity to see Mister Rogers’ Neighborhood on PBS in their childhoods and were instead watching cartoons. When in doubt, blame cartoons. At least RBG made it. Fingers crossed that Ruth Bader Ginsburg is already shopping for a tasteful Oscar gown! « Is the Superhero Sequel ‘Glass’ Strong Enough? Read the Review!